Sudden disappearance v. Porphyry nodes? When there are no creatures in play, sacrifice Porphyry Nodes. Heya Balthamir, have you considered adding in some cards like Inexorable Tide for that extra proliferation triggers? Honor-Worn Shaku is another secret deck tech card that lets you tap your friends for mana as well! Sterling Grove can help with the double protection with Privileged Position or Greater Auramancy as well. For utility spells as well you can consider running cards like Nature's Claim , Assassin's Trophy , Path to Exile , and Swords to Plowshares . On the enchantment side of things, Humility is a great card to run as well as Frozen AEther or Porphyry Nodes . Hope that helps! 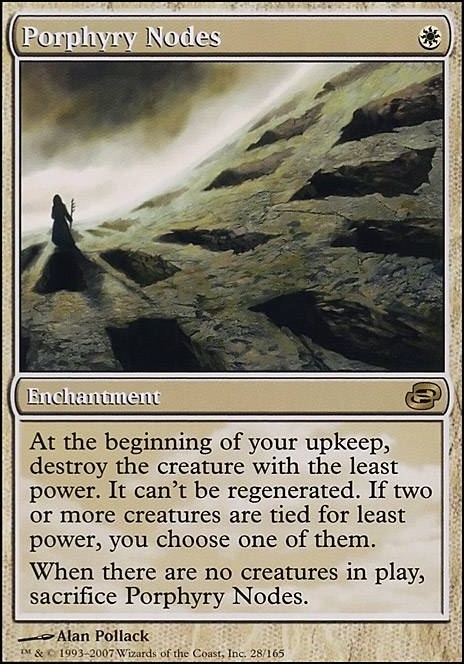 I mean, Strip Mine and Wasteland are staple inclusions in pretty much any deck, but if you really think the manabase is that weak then fair enough. 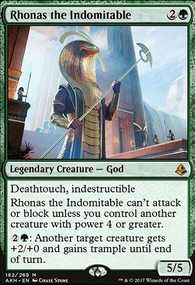 I suppose the deck really does run too many pillow-fort effects, but, yes, I tend to play in metas with lots of creatures, so I tend to think that having a wipe suite (unless you're playing mono-green or something) is effectively a necessity. Land Tax isn't terrible when you also have Scroll Rack , but I suppose it could be dropped. Also, what's wrong with Command Beacon, exactly? I suppose if you're just really looking for lands to axe, fine, but it's not a weak card in and of itself--at least when your commander is better than Daxos. And you want to put in Crucible of Worlds , but take out Strip Mine ? Alright, I guess, but I have to say that that's a little disappointing. 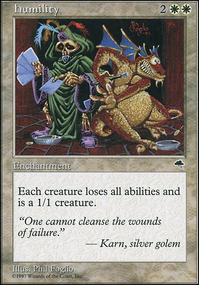 I also completely forgot that Porphyry Nodes was a card, honestly. Otherwise, it'd be in there. Your full list of replacements would make it to where we're playing a lot fewer enchantments, but I suppose Daxos isn't that great anyway, so, whatever. I'm honestly not sure if making that deck would qualify Daxos for tier 3, frankly, as it's more the deck than the commander or any synergy he has with it that's any good, but, whatever. I'm at least proud of how the mana curve in that deck is basically perfect, which is something your suggestions mess with slightly, but I suppose that doesn't really matter. Begin The Hymns. It's a Seton, Krosan Protector deck, and when I originally made it and shared it here, he was a very rogue af commander who was tier 4 or 5, but he got moved up to tier 3 after that point. The deck hasn't changed much since then, and I don't think I'm arguing for it to be moved up to tier 2 (the only mono-green commander in tier 2 is Selvala, Heart of the Wilds , and I'm assuming that's because she's draw in addition to ramp), but I would like to point out that Seton is perhaps the fastest mono-green ramp commander in the format. His ability effectively gives every druid in the deck haste (though, many of them have better abilities of their own), making him much faster than Azusa, Lost but Seeking , Omnath, Locus of Mana , and even Selvala (though she's probably still better). At times, it's practically a storm deck--I've played some very interesting lines with it before. One time, my last opponent almost had me hard-locked by being able to recur Pernicious Deed and Liliana of the Veil with Doubling Season on the board thanks to Muldrotha, the Gravetide , and I believe what happened was I drew and played Green Sun's Zenith , got Eternal Witness , she got back Natural Order , I cast Natural Order getting Grave Sifter to get back all of the druids he'd previously wiped, then, with my remaining mana, I cast Aluren , then went off and killed him that turn (I had Zendikar Resurgent on the battlefield, hence why I had the mana for all that in the first place). I've cast Genesis Wave for 55 on turn 6 before thanks to Gaea's Cradle , Voyaging Satyr , Argothian Elder , and Vitalize . Yes, the deck dies to boardwipes (especially instant-speed ones) and counterspells, but it's surprisingly resilient, and also quite redundant, provided my opponents don't follow up by slamming some stax effect (which they probably would). Curve in modern is king! If you look at the curve for your deck and the average CMC in general, its very very high and its going to take several turns to even start getting your big angels out. This is an issue because at most you will be playing one threat per turn, and by turn 4 your control opponent will have more than enough mana and cards to stop them from hitting the board, your aggro opponents will have killed you, and faster mid range decks will have set up the board to a point where you are behind the rest of the game. Solutions: Splash green for ramp ( Llanowar Elves , Birds of Paradise ) or find more cards in the 1 and 3 slots that are defensive. Current build is desperate for Nykthos, Shrine to Nyx . 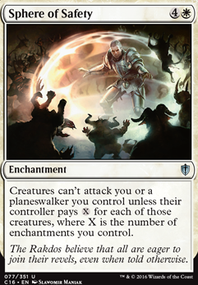 Defensive/tax/solid cards in white you can use would be stuff like Leonin Arbiter , Thalia, Guardian of Thraben , Thraben Inspector , Doomed Traveler , Student of Warfare . You can try to go the Pillow Fort route with enchantments as well. Think Sphere of Safety , Ghostly Prison , Runed Halo , Porphyry Nodes , Sigil of the Empty Throne as a finisher. Interacting with your opponent is key! Currently the only removal you have in your deck is Ixalan's Binding , which costs a large amount of mana considering it only removes a single target. Lucky for us we are playing white and have alot of great removal. Path to Exile , Fragmentize , Oblivion Ring . If I was playing this deck, my biggest fear would be my opponent would play something like Ensnaring Bridge because i'd only have a 32% chance of drawing Ixalan's Binding by turn 5 and thats spooky! You only have 4 4-drops in the entire deck (6 if you count Tasigur), so I would switch out a few Porphyry Nodes if I were you. Still suffers from exile removal and non-damage life loss. Most damage is going to be done by creatures and combining Helios with Porphyry Nodes also works pretty well including when you don’t have Heliod out. Still suffers from exile removal and non-damage life loss. Most damage is going to be done by creatures and comboing Heliod with Porphyry Nodes also works pretty well including when you don’t have Heliod out. I'm building a similar deck and I think you should consider adding either Darksteel Citadel + Ensoul Artifact (Ensoul Artifact, Darksteel Citadel), Thassa, God of the Sea, or another indestructible creature to pair with the Porphyry Nodes. 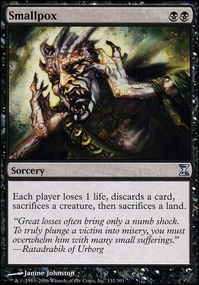 Also, you'll need some way to deal with decks that like cards in their graveyard and cards like Emrakul, the Aeons Torn. 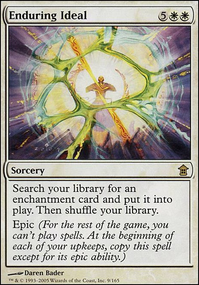 I really like the idea of a Whir of Invention + sideboard artifacts (Relic of Progenitus, Damping Sphere, etc.) package.